Smith MultiSport - About us... Allen and Janna Allen and his wife, Janna, have more than 13 years experience in racing triathlon and other multisport events such as Cyclocross and XTerra. Having completed well over 70 triathlons including 4 full Ironman and 15 half Ironman events... Allen can provide you with the knowledge and insight gained from being on the course at many different venues and levels. If he can't adress your questions or needs he can direct you to someone that can via the contacts he has made over the years. Both age group and professional. Janna is a 2 time Ironman and IM70.3 Fla finisher and has completed many other triathlon and running races. These include the Marine Corps and Miami Tropical Marathons as well as metric and full Century rides. Allen and Janna understand the dynamics of open water swimming, and the dynamics of swimming with other triathletes. We have raced in waters from Biscayne Bay, Florida to the Kona Coast in Hawaii. We have ridden bike courses from the mountains of North Georgia and North Carolina to the hot flat roads of Panama City Beach, Florida. The Mojave Desert in Las Vegas, Nevada as well as the famous Queen K Hiway on the big island of Hawaii. We can advise you on proper gearing and race wheel usage, regardless of what terrain or conditions you may be racing on. We have run marathons, half marathons, 15k, 10k, 8k and 5k races in all climates. We can advise you on hydration, nutrition and race strategies no matter the length of your race, whether you are training for stand alone running races or multisport events. So if you're looking for coaches who are experienced, knowledgeable and who understand the trials of long course training... then SMS is your source. Contact us today so we can help you to define your goals and help you achieve your long course dreams. Allen and his wife, Janna, have more than 13 years experience in racing triathlon and other multisport events such as Cyclocross and XTerra. Having completed well over 70 triathlons including 4 full Ironman and 15 half Ironman events... Allen can provide you with the knowledge and insight gained from being on the course at many different venues and levels. If he can't adress your questions or needs he can direct you to someone that can via the contacts he has made over the years. Both age group and professional. 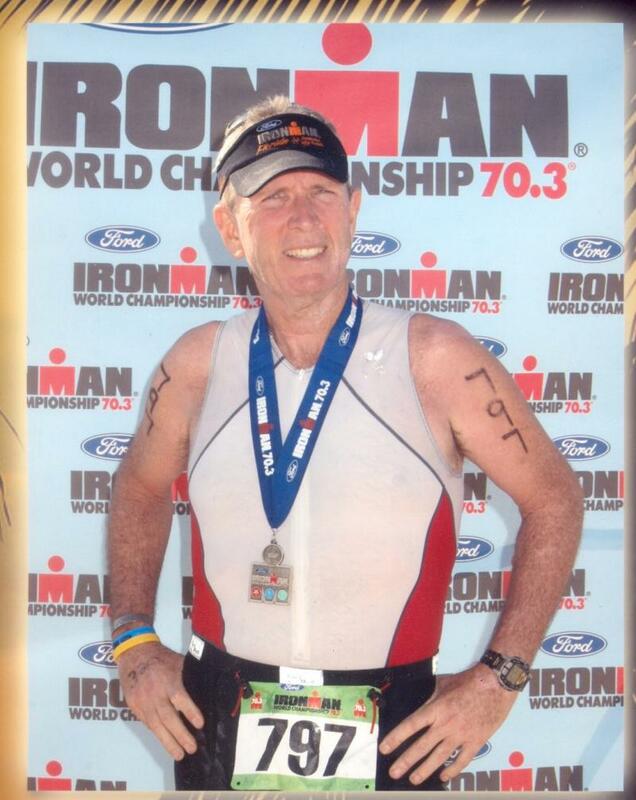 Janna is a 2 time Ironman and IM70.3 Fla finisher and has completed many other triathlon and running races. These include the Marine Corps and Miami Tropical Marathons as well as metric and full Century rides. Allen and Janna understand the dynamics of open water swimming, and the dynamics of swimming with other triathletes. We have raced in waters from Biscayne Bay, Florida to the Kona Coast in Hawaii. We have ridden bike courses from the mountains of North Georgia and North Carolina to the hot flat roads of Panama City Beach, Florida. The Mojave Desert in Las Vegas, Nevada as well as the famous Queen K Hiway on the big island of Hawaii. We can advise you on proper gearing and race wheel usage, regardless of what terrain or conditions you may be racing on. We have run marathons, half marathons, 15k, 10k, 8k and 5k races in all climates. We can advise you on hydration, nutrition and race strategies no matter the length of your race, whether you are training for stand alone running races or multisport events. So if you're looking for coaches who are experienced, knowledgeable and who understand the trials of long course training... then SMS is your source. Contact us today so we can help you to define your goals and help you achieve your long course dreams. Janna Smith, MD. Practicing physician/pathologist. Experienced runnner and triathlete, including The Great Floridian Triathlon (iron distance) 2004 and Ironman Florida 2006. We at Smith MultiSport sensed a need to provide mentoring to athletes who desire to go beyond the short races in the sport which we love; to help age group athletes go farther than they thought possible. We know the physical and mental obstacles that keep athletes from going the long distances: time, money, fitness and... the fear of not finishing. We've "been there... done that" and are here to help you change how you think and train. We want you to know that you CAN "do the deed". We feel that, with proper training, comes confidence. We use systems that have worked for thousands and that we have put in practice ourselves. We use Joe Friel's concepts of "periodization" and "Rate of Perceived Excertion" (RPE) in conjunction with established heart rate ZONES based on LT testing (Lactate Threshold). We use Joe Friel's concepts, and the plans we prepare are based on training for "time" and not for "miles". The combination of the concepts of Heart Rate Zones, RPE and training for time are the best methods we have found to achieve maximum benefit from our training hours. Give us the opportunity to help you cross that finish line on that long course. We WILL be there with you!